Like many fans of the Chiefs, general manager Brett Veach was concerned after seeing the recent viral video of quarterback Patrick Mahomes playing basketball, Adam Teicher of ESPN reports. 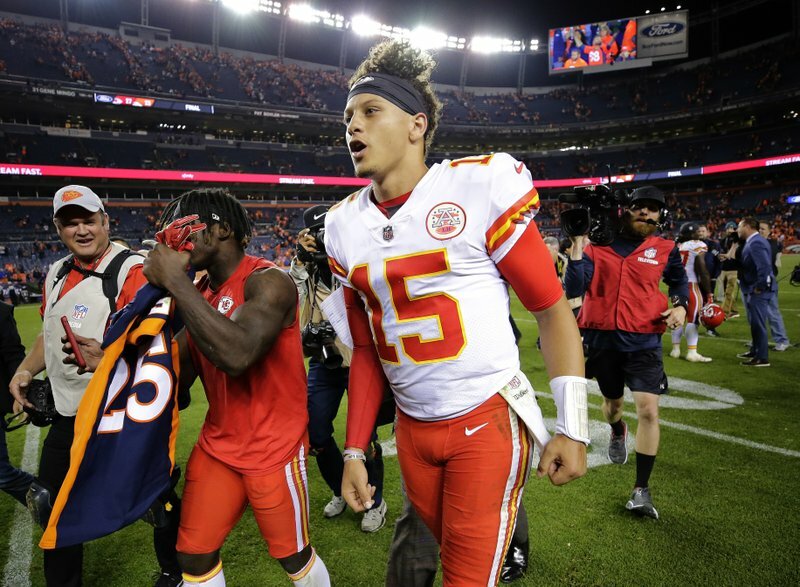 Veach said on Kansas City radio station 810 WHB on Thursday he was worried enough about the franchise quarterback risking an injury that he put in a call to Mahomes’ agent, Leigh Steinberg. “The (Chiefs) Kingdom can be assured: No more basketball for Pat … We were able to nip that in the bud,” Veach said. Mahomes was a star in basketball as well as baseball and football in high school in Whitehouse, Texas. Veach said he was concerned Mahomes’ competitive nature wouldn’t allow him to play basketball at something less than full effort. “With Pat, everything he does is so competitive. … He actually was in the office yesterday and we were joking about it. He was just shooting around and all of a sudden it turns into a spin move and juking guys out. He doesn’t have that filter in his mind to just have fun and not take everything so competitively,” Veach said. Be the first to comment on "Kansas City Chiefs GM Brett Veach Declares No More Basketball for QB Pat Mahomes"